Follow the Class IV Long Island Championship as Locust Valley plays Shoreham-Wading River at noon Friday at Hofstra. Chris Rosati's 20-yard runs starts things off for SWR. Kickoff at the Class IV #LICs . SWR starts its first drive. I believe that we will win #lic #NHS ???? Chris Rosati scored two Shoreham-Wading River touchdowns in the first seven minutes and the Wildcats are rolling vs. Locust Valley 14-0. 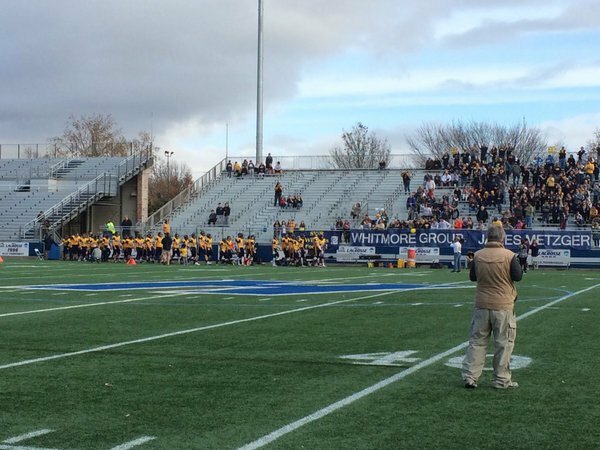 A big end zone stop by Locust Valley at the 1 prevents Shoreham-Wading River from taking a three touchdown lead in the 1st quarter. Chris Rosati strikes again with a 1-yard TD run -- his third score of the game -- to give SWR a 21-0 lead early in Q2. Chris Rosati scores from a yard out and SWR has scored more pts in 12:31 than Locust Valley allowed in a single game all season. It's 21-0. Little trickery for Locust Valley as Tom Talenti finds QB Tyler Liantonio on a pass to get near midfield. Shoreham-WR is pouring it on in 28-0 first half rout of Locust Valley in LI Class IV football. John Constant TD catch from Jason Curran. Shoreham-Wading River's Chris Gray forces and recovers the fumble in a SWR goal-line stop. SWR leads 28-0, 7 min left Q3. 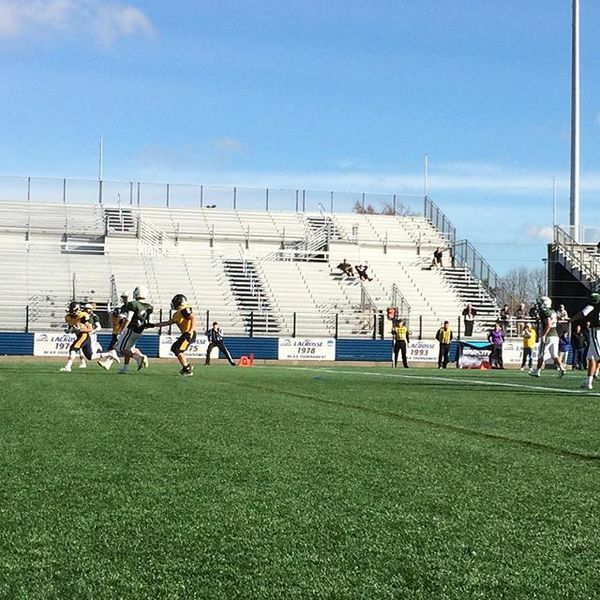 #LocustValley grabs a first down to make it first-and-goal. #LocustValley gets on the board to make it 28-7 with 11:47 left in the fourth quarter. Shoreham-Wading River adds to its lead with another Chris Rosati TD -- his fourth of the game -- with 6:41 left in the game. SWR up 35-7. 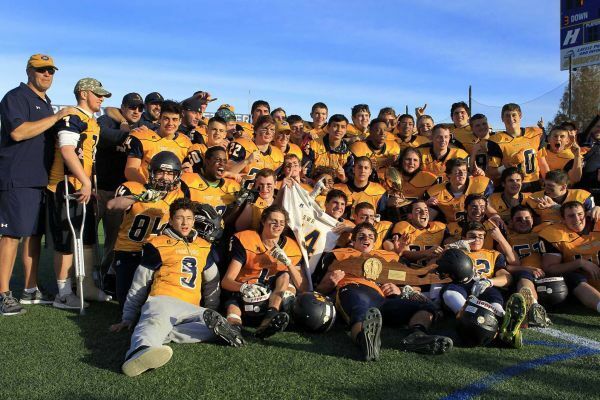 #SWR wins Class IV Long Island Championship. 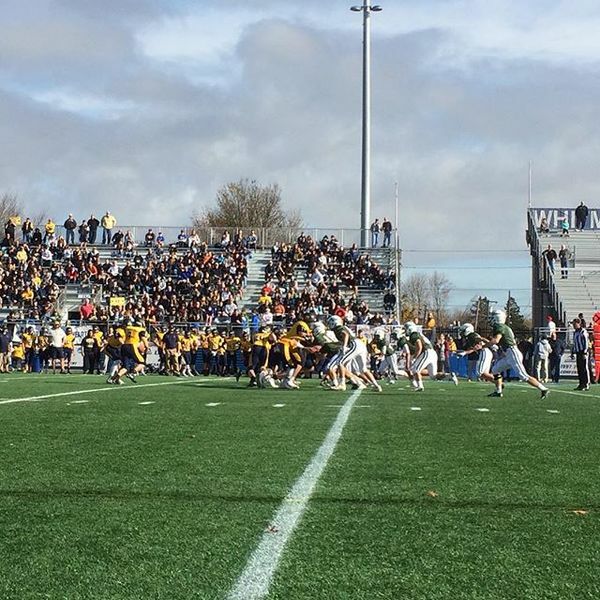 NewsdayShoreham-Wading River played Locust Valley in the Class IV Long Island Championship at Hofstra on Friday, Nov. 27, 2015.